WordPress is the most popular blogging platform but its powerful customization options make it good for other kinds of websites as well. So, most of the hackers now try to hack WordPress by performing a Bruteforce attack. To prevent bad login attempts or Bruteforce attacks, it is a good idea to change the default login URL. By changing the default login URL, you can protect your website from these attacks. Even if this is not the full protection, it still adds a layer of protection. Hackers cannot guess the login URL if you manage to make it something different than the regular WordPress login URL. 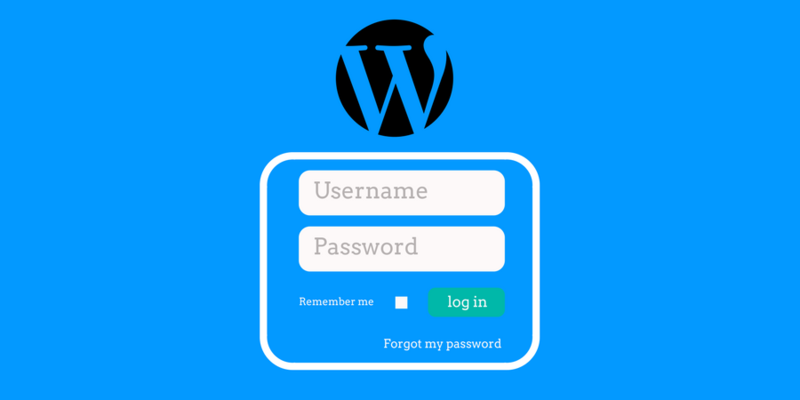 If you want to change the login URL of your WordPress website, you can keep reading this article. Before I start, I want you to read how to create a strong password. A strong password is always the one that s hard to crack by a Bruteforce attack. I also recommend you to stop using the ‘admin’ username. If you do this, an attacker will also have to make efforts in guessing the username as well. If you know to code in PHP, you can easily do this. But I will write about the easiest way of changing the login URL. So, that a normal person who does not know to code can also follow the guide. Now read how to change your WordPress login URL. Install a WordPress plugin ‘WPS Hide Login‘. This plugin lets you safely change the login URL of your WordPress website without affecting any other code functionality. Activate this plugin and it adds an option of changing the Login URL. To access this option, Go to Settings -> General. Scroll the page till the end and you will see the option of changing the Login URL. You can add any URL you want to keep as your login URL. And then click on Save Changes button. This is the easiest way of changing the login URL of WordPress. Changing your URL can solve lots of problems. Even if you have a strong password, Bruteforce attack and increasing number of requests can take your website down. A custom login URL also makes login URL easy to understand. Whatever is the case, if you want to change the login URL, now you know. You can block hackers just by changing the default login URL. I hope this guide helped you. We have lots of WordPress tutorials. Do not forget to explore those. If you still have anything to ask, you can leave it in the comment.